Six months ago, we announced a new media transparency project that would take our war against corporate trolls and media shills to a new and more effective level. The project is called “SHAME” and stands for “Shame the Hacks who Abuse Media Ethics.” Its goal is to expose and shame corrupt media figures, and make life a little harder for those who manipulate the public, degrade our democracy and help perpetuate oligarchy power, making their money by acting as covert propagandists for corporate interests. The project was inspired by our readers and donors, who are tired of the rampant media fraud and deception, and want some way to fight back and reclaim our democracy. Well, the long wait is finally over. Thanks to your support—in donations, subscriptions, and know-how—S.H.A.M.E. is finally ready. 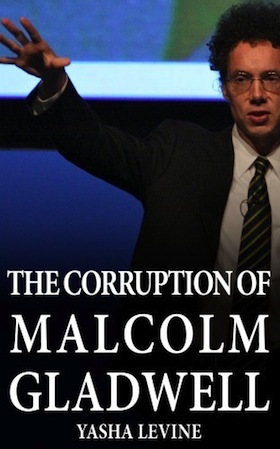 S.H.A.M.E.’s first subject: Malcolm Gladwell, America’s most successful propagandist. Check out his S.H.A.M.E. Dossier™ and an in-depth S.H.A.M.E. Report™ that traces his life’s journey, from his early days as a Reagan fanboy to his training at the tobacco-funded National Journalism Center and his rapid rise in the media world, marked by his tendency to insert pro-tobacco, pro-banking industry and pro-pharma propaganda into his work. This is just a taste of what’s to come. We will be rolling out a new S.H.A.M.E. dossier every week and will keep you updated with blog posts and news items. The purpose of S.H.A.M.E. is not merely to humiliate or call out hypocrisy, but to provide useful and effective tools the public can use to protect itself from being manipulated by sophisticated public relations con-artistry. So we’ll be slowly beefing up and upgrading the S.H.A.M.E. guerrilla anti-shill platform with new features to help you fight back.